You’ve seen “Skyfall,” now how about taking a look at the other best James Bond movie you’ve never seen? We don’t necessarily want to make bold claims as to what the best Bond movie is, as it differs from person to person, but “Majesty’s” should be Top Five material for any die-hard fan of the franchise. The film is littered with all kinds of “firsts” and “onlys” — both in front of and behind the camera — but the most obvious is of course its lead, George Lazenby, and it’s with Lazenby that, for better or worse, most talk of the film begins (but should by no means end). 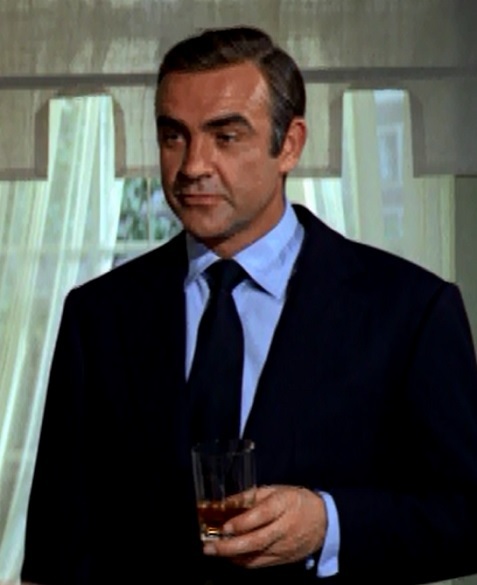 In the year 2013, we take for granted the changing of the lead actor within the Bond series, as we’ve now had a half a dozen different 007s, but back in the late sixties there was only one James Bond, and his name was Sean Connery. During the production of “You Only Live Twice,” Connery decided to exit the franchise that made him a household name (though as we now know today, he’d return to the character not once, but twice), however, quite understandably, the producers of the series weren’t finished telling their stories, and the public seemed far from tired of 007’s adventures. So there was really only one option and that was to recast. The search was extensive, but in the end Bond producers decided on a complete unknown – Lazenby – a model with virtually zero acting experience. Regardless, Albert Broccoli was certain he could transform the man into his new James Bond. The debate has raged for over 40 years as to whether or not the recasting was successful, with many schools of thought on the matter. Having viewed “Majesty’s” numerous times, we feel confident in saying that it’s a shame Lazenby didn’t give it at least one more go in the part (the decision to not return was, amazingly, his own), because as it stands, he cannot help but be somewhat swallowed up by the richness of his surroundings. 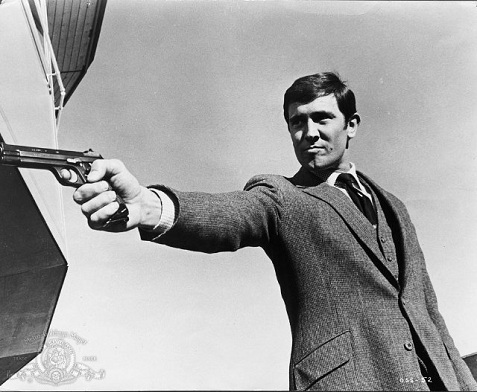 One thing is for certain: Lazenby in no way ruins it, or keeps “Majesty’s” from being the best film it can be. “On Her Majesty’s Secret Service” is a fine, fine movie, and one that deserves to stand on its own, away from the greater picture of the whole franchise, and Lazenby – as any lead would be – is at least partly responsible for its artistic success. The Girls: Blofeld’s mountaintop Swiss hideaway, Piz Gloria, stockpiles quite the cache of babe-alicious flesh – including a very young Joanna Lumley (“Absolutely Fabulous”) as well as the lovely Catherine Schell (“The Return of the Pink Panther”). Odd then that James zeroes in on the homeliest looking one of the bunch, Ruby Bartlett (Angela Scoular). But then again, this is also that unique Bond flick wherein James falls in love, and perhaps going for runt of the litter was the only way for him to rationalize cheating on his beloved Tracy.